Recording instruments pertaining to real estate transactions and maps. Filing financing statements and other personal property records under the Uniform Commercial Code (UCC). Serving as custodian of births, deaths and marriages occurring in Johnston County. Serving as custodian for other miscellaneous legal records such as Power of Attorneys, separation agreements, and business names. The Register of Deeds serves as custodian and manager of a large number of public records. Registers of Deeds are elected to four-year terms by the citizens of the County the Registrar serves. By law, the Register of Deeds is charged with the integrity, completeness, accuracy, and safekeeping of these public records. 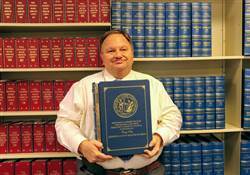 It is the mission of the Johnston County Register of Deeds to preserve the integrity of the records and to make them accessible to you. The Johnston County Register of Deeds Office has real estate records dating back to the mid-1700s. Marriage bonds are available from 1760, and marriage records from 1894. Birth and death records are available from 1913. 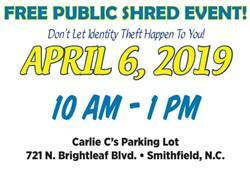 All records can be searched through hard copy indexes located in the Register of Deeds Office on the second floor of the Johnston County Courthouse in Smithfield. Some records are available through research terminals in the office.